With the highest percentage of multi-generational households in the United States, California is often a leader in working to pass legislation that allows for the balance of work and family responsibilities. Recently, Senate Bill 1770 passed with a majority vote in the California Senate and has moved onto the State’s House of Representatives. The bill, designed to strengthen family leave policies to allow paid family medical leave for a wider range of caregivers, is a positive move for many caregivers. With a recent study revealing that more than 40% of Alzheimer’s caregiver’s are not currently covered under the narrow definition of the current Paid Family Medical Leave program, changes are targeted to reduce the number of caregivers having to choose between caring for a loved one or covering costs of basic living necessities. If the new law passes, families will not be allowed to take leave only to care for a parent, child or spouse, but also siblings and other family members whose care is just as imperative. While family leave can provide up to 6 weeks per year in California for caregivers to focus on their caregiving responsibilities, the reality is that many caregivers must continue to work. In those situations, family, friends and homecare can provide a care network to help in a primary caregiver’s absence. 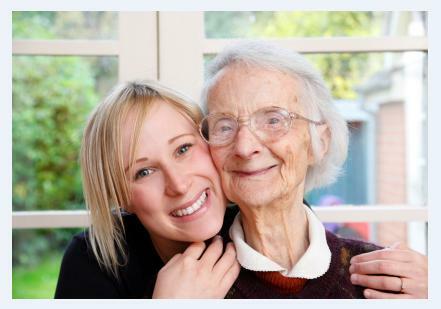 If another loved one can step in to provide companionship and care during work hours, this is an inexpensive and helpful option. However, these individuals also likely have personal responsibilities. With the help of a homecare agency using a homecare software or homecare system, like ClearCare Online, both seniors and their caregivers can have reliable source of assistance. Depending on work schedules, homecare software or a homecare system such as ClearCare Online can help make sure that there’s always caregiver coverage for seniors. For example, with ClearCare Online Family Room log-ins, family caregivers can log into the homecare software to see when shifts are scheduled. Even invoices can be made available through the homecare system, allowing families to keep track of elder care expenses and help manage budgets. As States and employers work with family caregivers to find a better balance between caregiving and career, homecare agencies using ClearCare Online for their homecare software and homecare system will be armed to best support family caregivers hanging in the balance.